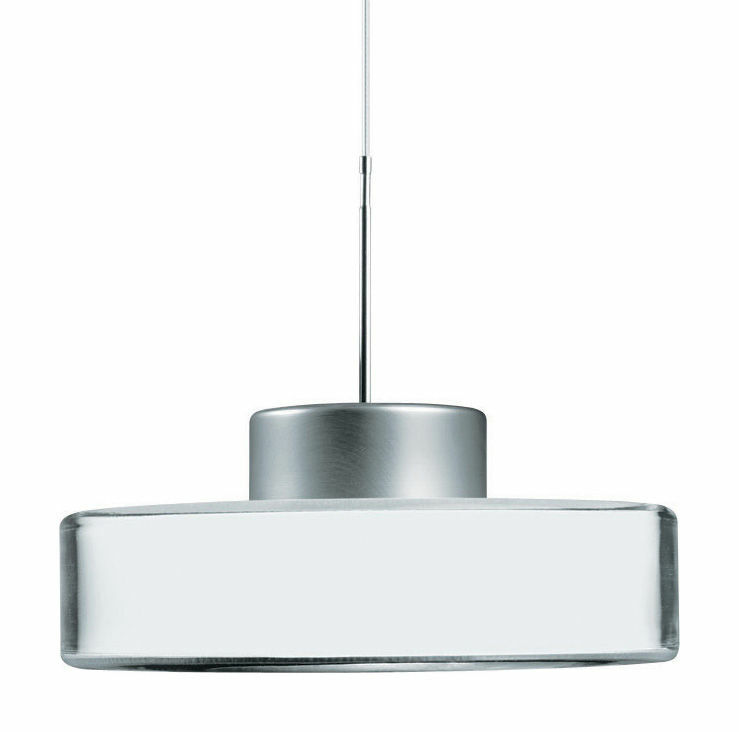 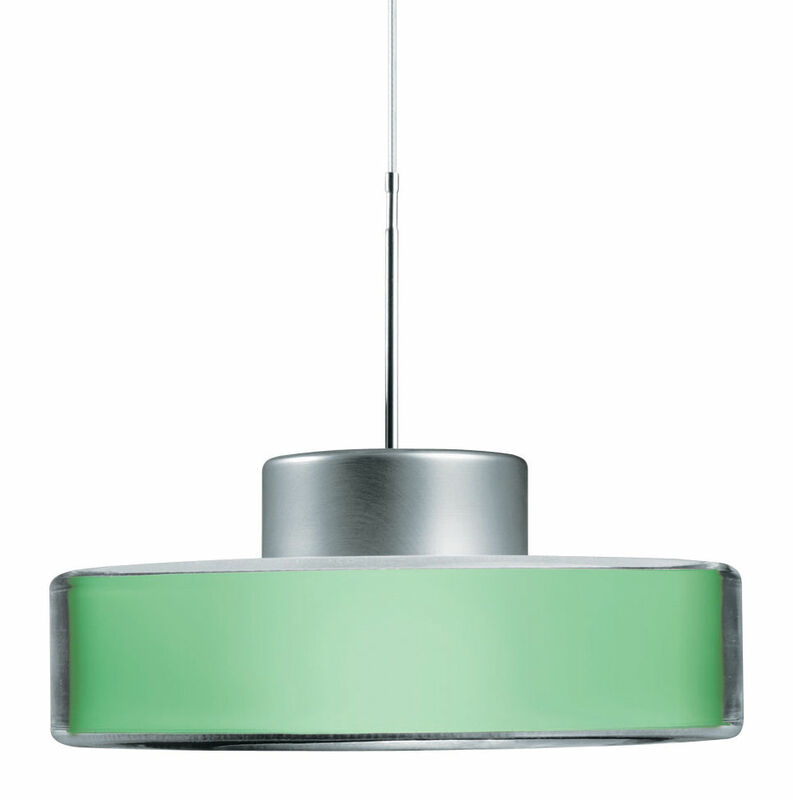 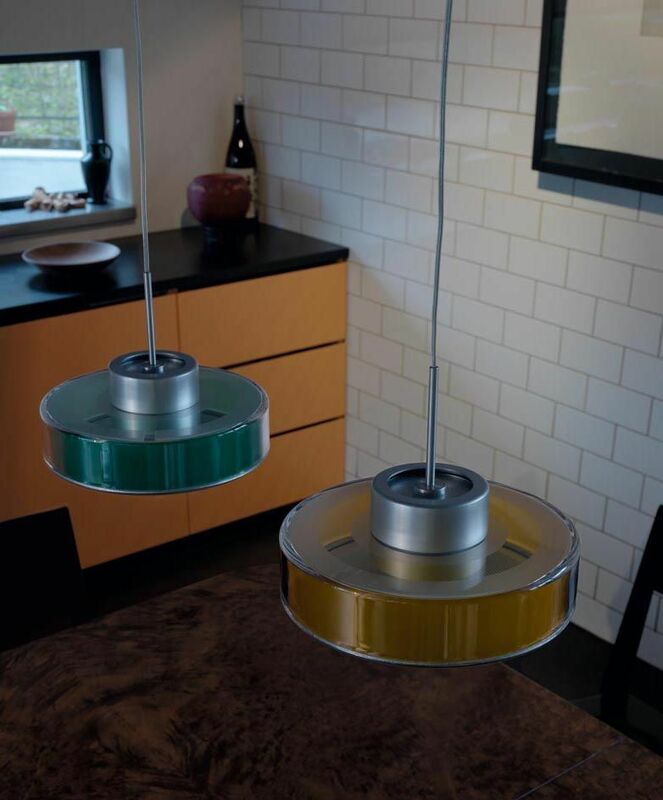 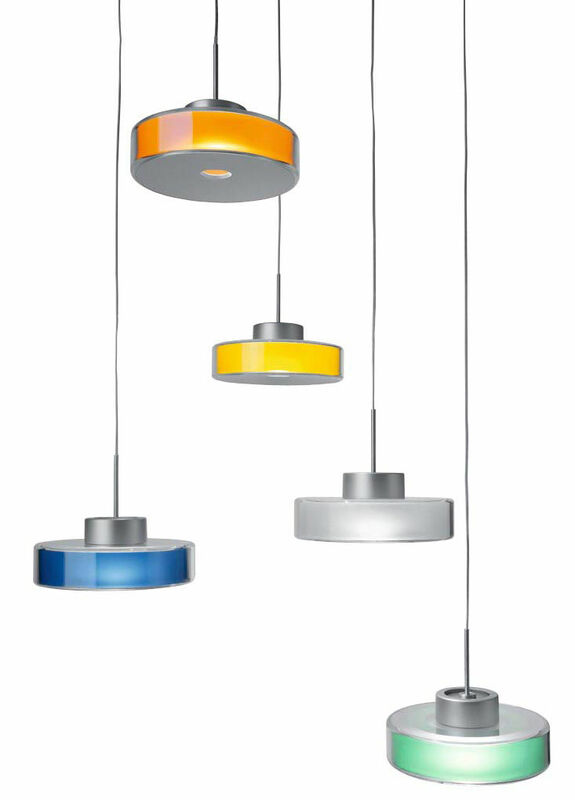 The suspension lamp FOKUS combines innovative light-technique with a straightforward design. 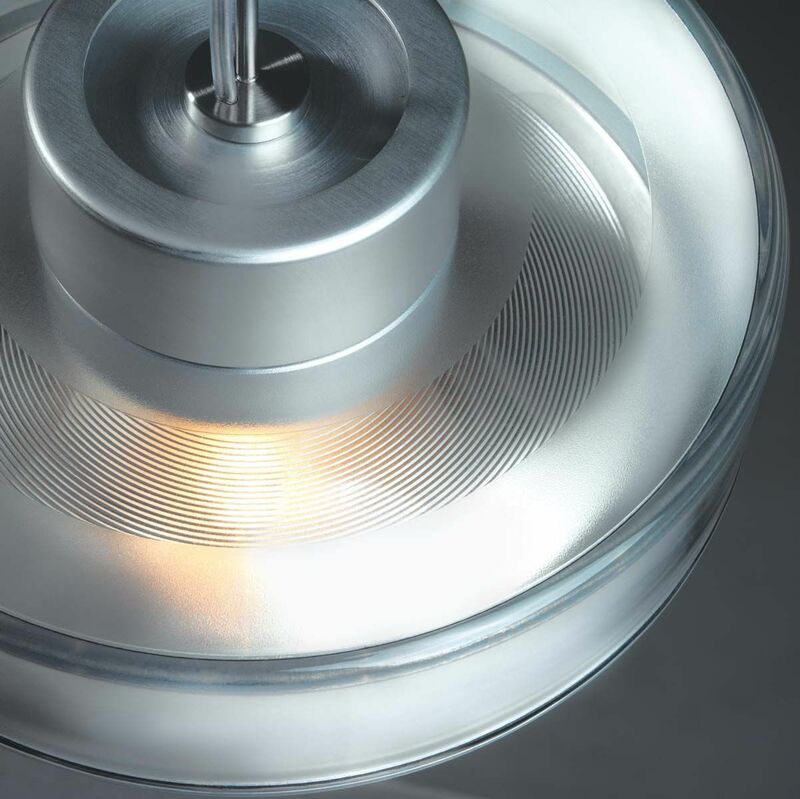 The precision reflector focuses the main part of the brillant halogen light through the small opening in the aluminium cover. 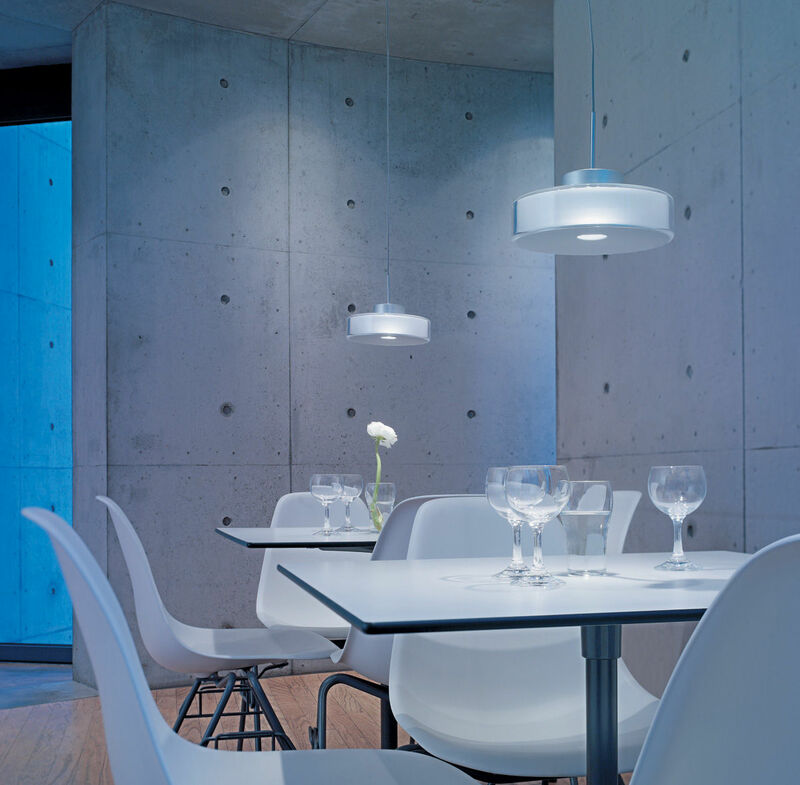 By reason of the wide radiation angle characteristic even large table surfaces are illuminated absolutely dazzle-free. 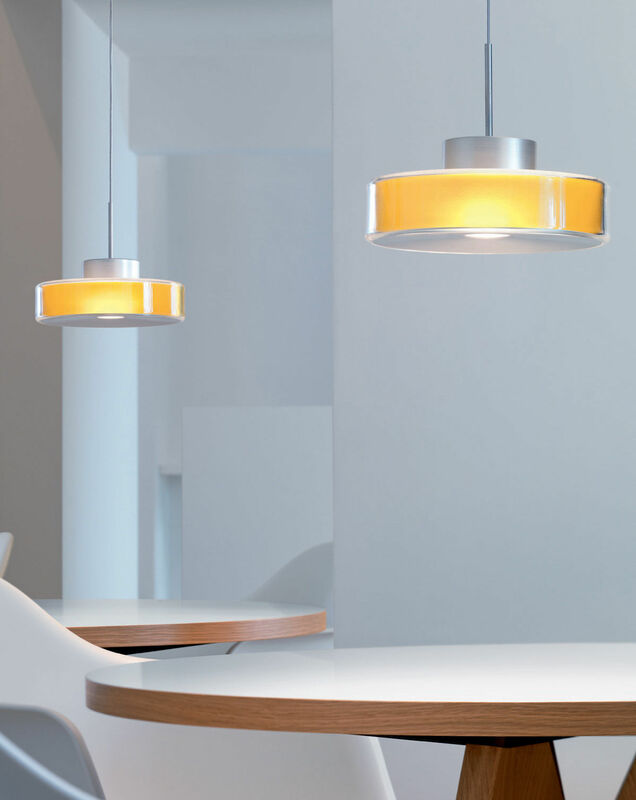 Inside FOKUS, part of the light is directed towards the ceiling using Fresnell reflector technology, providing an additional sense of space. 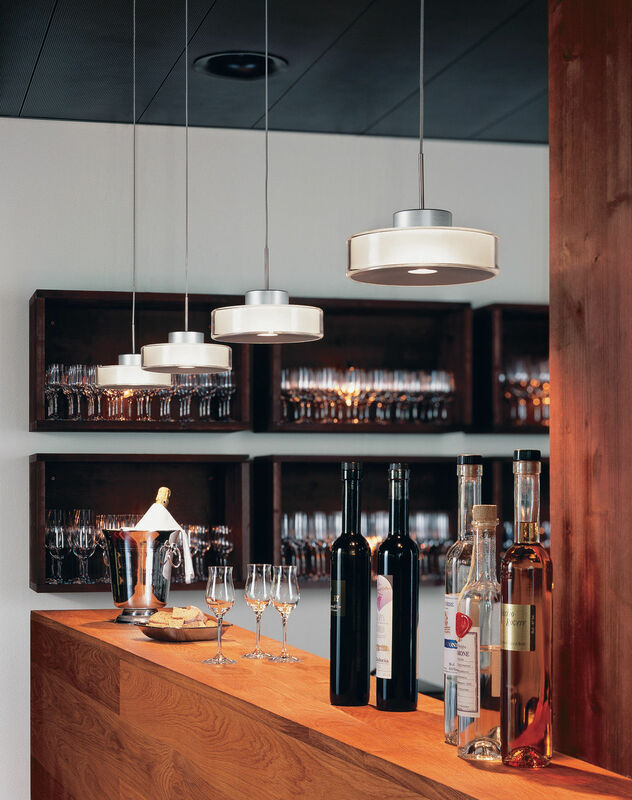 The noble, transparent synthetic glass is flooded with diffused light and gives FOKUS a light, suspended-in-air character. 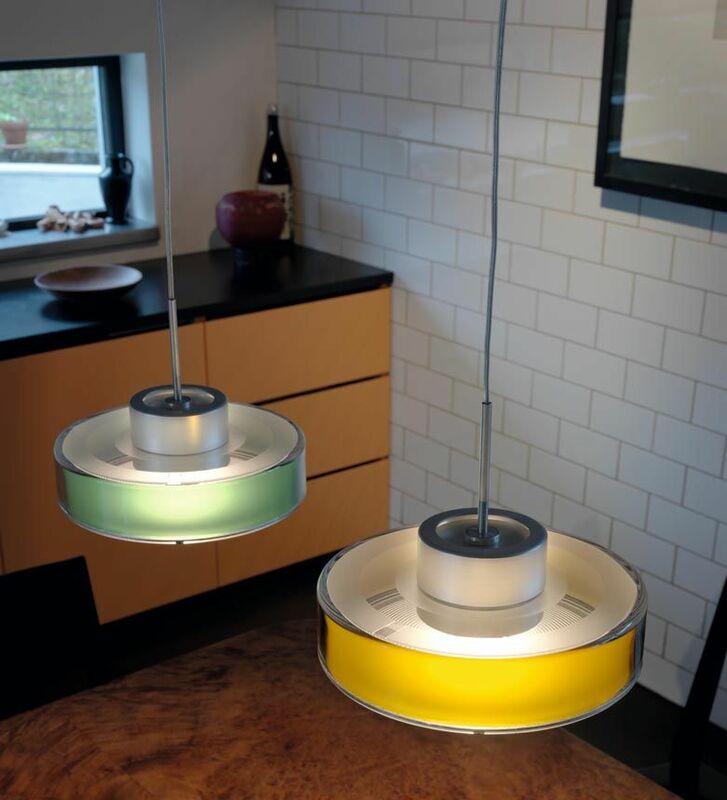 Exchangable colour filters enables emotional lighting design of a room.